While I was up in London at the weekend I popped into The Atlantis Bookshop, to see Dr. Cagliostro's Cabinet of Curiosities, an exhibition that's on until the end of April. 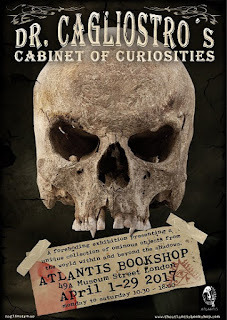 The description I'd been sent sounded fascinating: "In the shop's basement temple this month, you'll find many mysterious items from Dr. Cagliostro's collection, including a vampire-hunting kit, mermaid skeleton, werewolf footprints and shrunken heads that defy explanation." I know Atlantis's basement quite well as it is where I run regular Scrying by Candlelight workshops, but I could hardly recognise it - it looked completely different from the way it normally does. The whole room was dark and hung with black drapes except for dimly-lit display cases showing the aforementioned items along with similar weird and wonderful forteana. There are also detailed, if lurid, descriptions of their supposed history and provenance. Yes, it is more like a carnival side-show than serious science, but it is very spooky and highly entertaining. The exhibition is completely free to visit, but I do suspect that once you have seen it you will be tempted to buy a copy of the book that goes with it, which is on sale at the shop. 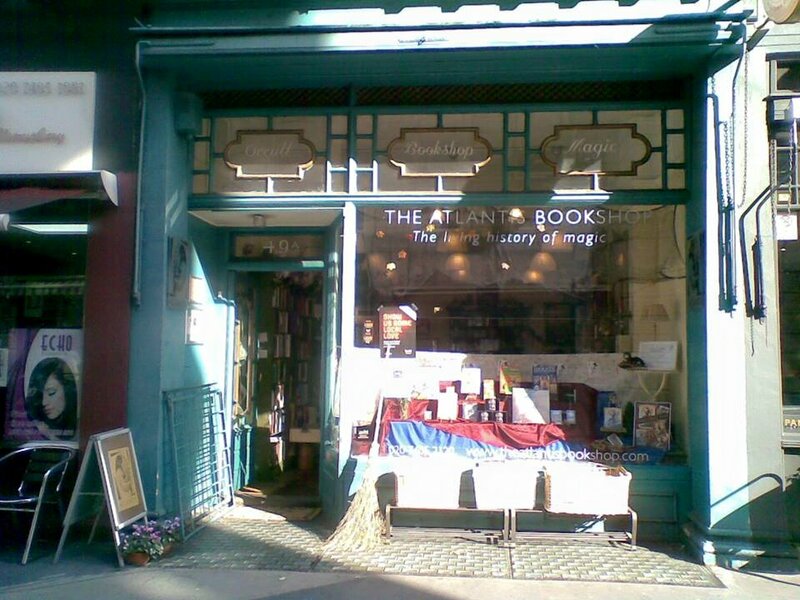 Oh and if you want to book for my next scrying workshop at The Atlantis Bookshop, the event is on June 10. Tickets are £20 and you can reserve places at the shop.